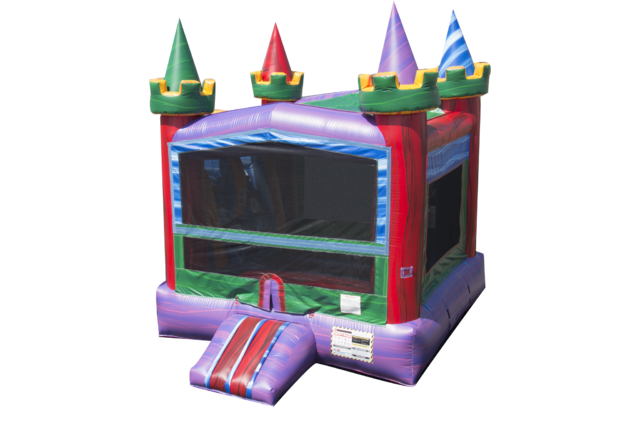 Check out the new marble crush bouncer with a large 15x15 bouncing area and tons of really cool colors. This bouncer has a basketball hoop inside for added entertainment. Keep the kids busy all day long with the super colorful marble crush bouncer.